The Library has continued with its program to recognize the contributions of graduating student library assistants who worked at the Library while pursuing their degrees. 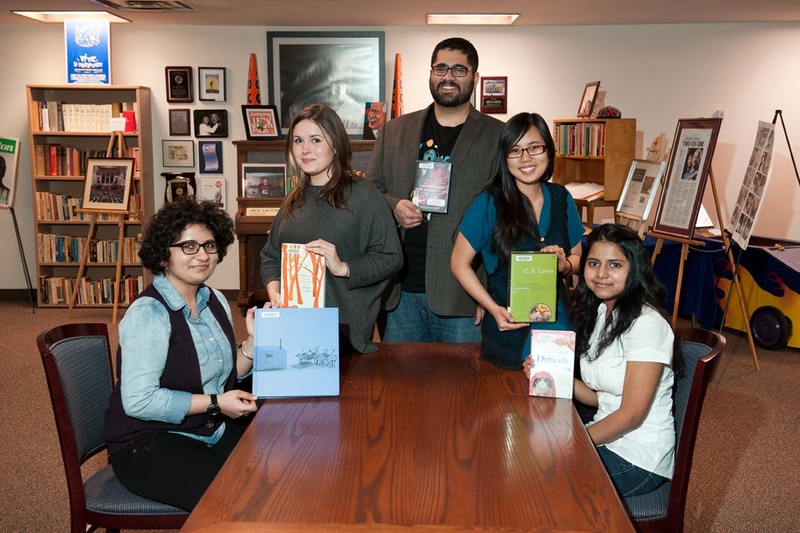 All student assistants from the Class of 2013 were invited to recommend one media item be added to the Library collection, with a mention of the contributors in the catalogue, as well as in each of the chosen items themselves. 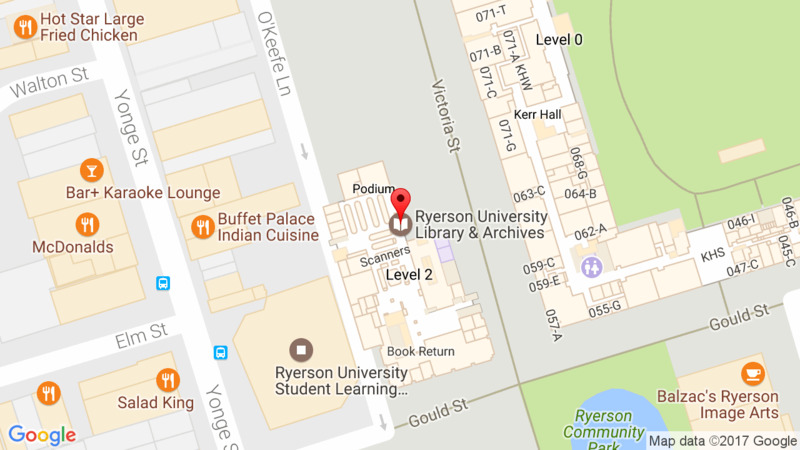 To see what items they have chosen for the Library, please take a look at the display case near the Research Help Desk on the main floor. Thank you to the Class of 2013 – we wish you all the best! 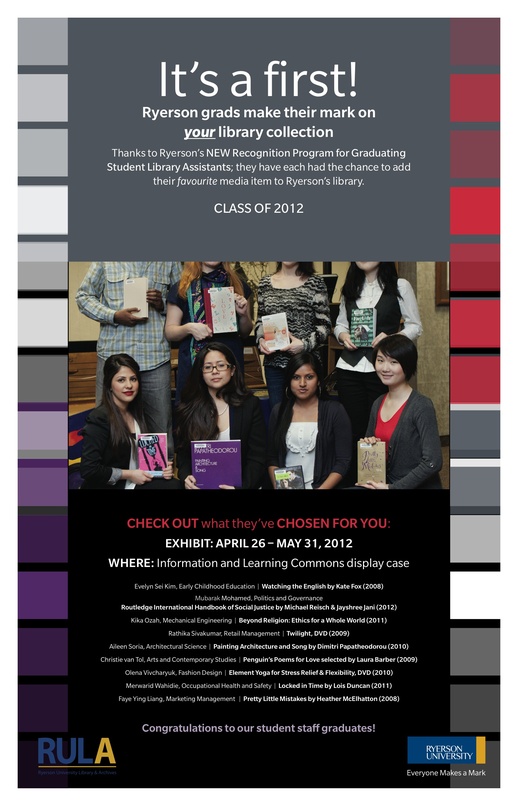 The Library has introduced a new program to recognize the contributions of graduating student library assistants. 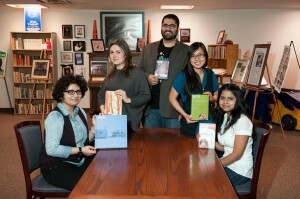 All student assistants from the Class of 2012 were invited to recommend one media item for the Library collection. The items selected by the students this year have been added to the collection with a mention of the contributors in the catalogue, as well as in each of the chosen items themselves. The books and DVDs will be exhibited in the display case near the reference desk from April 26 until May 31, 2012. Beginning next week, photos will also be rotated on the LCD panel in the lobby. We would like to thank our graduating student library assistants for their hard work and certainly wish them all the best in their future endeavours! Congratulations!